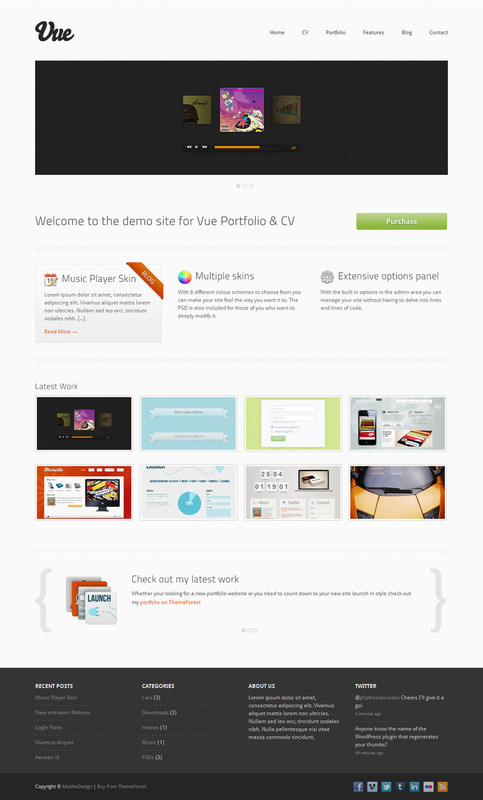 Easily build up your portfolio with the portfolio custom post type. Upload one image and it will automatically be cropped to the required sizes to display around the site. 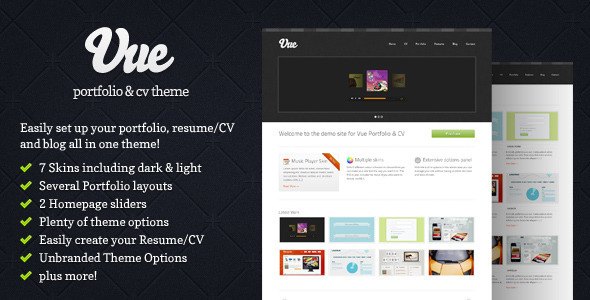 With 4 different portfolio layouts and more coming there’s sure to be a look you want! 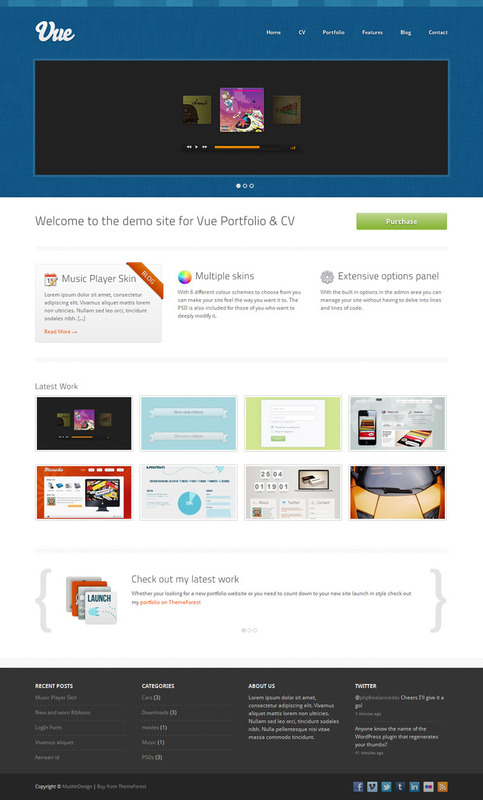 Using custom post types with tailor made custom meta boxes you can quickly and easily create your cv. Add a blog to your site easily and let your site grow as you want it to. Add or remove features to the homepage. With 2 different sliders to choose from, as well as a content slider and your latest portfolio or blog posts, make your homepage as simple or extravagant as you like! 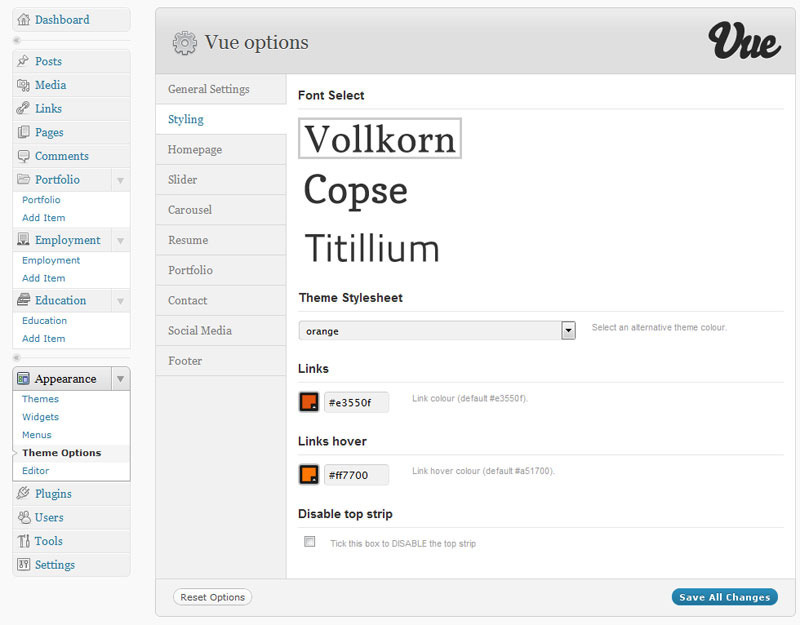 7 different skins come packed into Vue including light and dark skins, as well as a choice of light or dark footer skins. 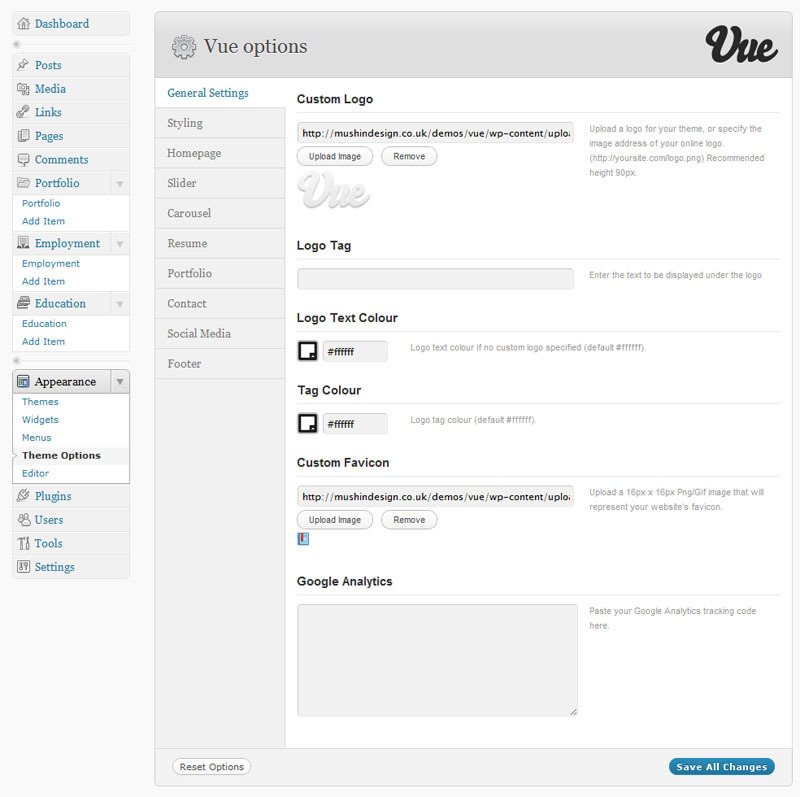 Control the look and feel of your site using the admin theme options. Everything is covered from homepage features, custom logo upload, styles, colours, fonts, social media links, slider management and more!